Jindal Steel & Power Ltd is considering a breakup plan as part of a restructuring to help trim its Rs 420 billion ($6 billion) debt pile and boost investor confidence in a company that was once India’s biggest steelmaker by market value. The New Delhi-based company is looking at splitting its steel, power and international businesses into three separate entities, Chairman Naveen Jindal said in an interview. Any such plan would need the approval of lenders, regulators and the board, he said. The steel unit would include the coal mines, while the international business would include the Oman steel plant, he said. Jindal Steel will seek to progressively sell about 30 percent of the Oman unit over two to three years, and this may partly be achieved through an initial public offer, the chairman said. The company will engage with potential buyers in December and hopes to conclude a deal by March, he added. The outlook is brightening for the mill, which last month reported its first quarterly profit after notching up three-and-a-half years of losses. In the wake of a global steel industry revival, its shares have risen 55 percent in the past year, making it the best performer on the 10-member S&P BSE Metal Index. While the company’s steel business is performing well with a rail order from the government and a buoyant market, its power business was hit by the cancellation of coal licenses by the government, Chakraborty said. The steelmaker, which has come back from the brink of bankruptcy, wants to get its debt ratio down to two times pre-tax earnings, from about five times now, over the next four or five years, Jindal said in the Aug. 30 interview. This fiscal year the company wants to cut debt by 15 percent. “We are going to be really, really conservative. There is no question of taking more debt,” he said. Jindal Steel’s coal mining operations in Australia may also be on the block -- but there’s no hurry. “Coal prices are very good, so if we get a good price, we can look at that,” he said. 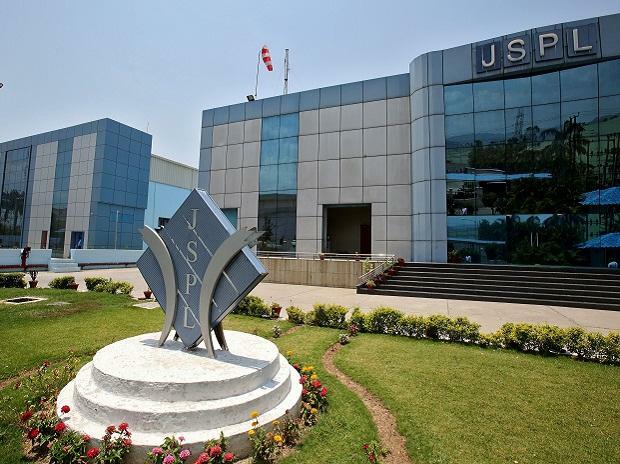 JSW Energy Ltd., run by his brother Sajjan Jindal, had paid an advance of about 4 billion rupees for a deal brokered in 2016 for Jindal Steel’s 1,000-megawatt power plant in central India. However, the period for completion of the deal has been extended by a year as some of the conditions for the sale remain unfulfilled. “If we do not do the deal then we will pay it back to them," Jindal said. Both are sons of billionaire Savitri Devi Jindal. In the fiscal year ended March 31, 2012, Jindal’s company had a market value ahead of rival producers Tata Steel Ltd. and JSW Steel Ltd. -- owned by Jindal’s brother -- and Steel Authority of India Ltd.
Jindal’s group was among those that benefited when the government began awarding 218 coal mines to companies starting from 1993 on condition they invest in industrial projects and pay royalties. But in 2014, the Supreme Court canceled most of these permits, terming the allocations arbitrary and illegal, and ordered the producers to pay for the coal they had already extracted. Risks still remain for the company. In addition to weak power demand and a struggle to get coal supplies, India’s Enforcement Directorate has filed a complaint against Jindal for alleged money laundering.